I am already in the second day of my weekend – I do love days off (though would love them more if I hadn’t been waiting in for a parcel that never materialised). It’s almost 9.30 and I have been up for 2 hours and in those two hours I have finished whipping up some vanilla buttercream, decorated and packaged up a dozen cupcakes and tidied up my kitchen. I do love being productive but I guess it’s the sign of a busy mind that I can’t just “sit” and do nothing, like ever! Today I am selling my first ever cake – someone saw a cake I had made for a friend to take in to work (it was her birthday but she is such an amazing friend I wanted to do something special so I made her a rich gooey mocha/cappuccino cake). 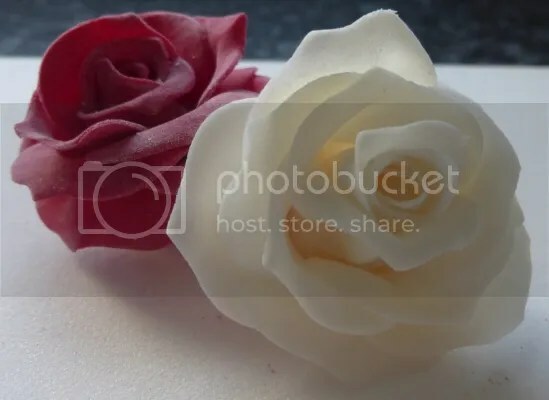 Experimenting with all different types of tool and taking hours to do things showed me one thing about creating the perfect (well, almost) fondant/gum paste flowers…it’s all down to having good tools and the right ingredients. Those flowers look amazing. Just… how. I’m making dad a cake for Father’s Day tomorrow, since it’s like at tradition, but it’s literally just boxed white cake mix and a can of chocolate frosting. That’s all he wants. No frou-frou stuff. They are fiddly, I will admit. I made 9 of them in the finish, but only 8 were used as the 9th sucked! They look really difficult (and the first time I thought about making them I was all “I am going to tell her that I can’t do it”) but then I watched a load of videos on YouTube and realised that they aren’t that hard. 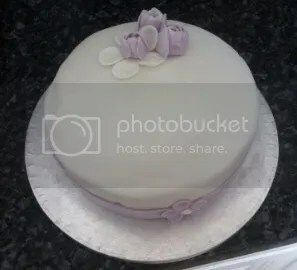 As for the rest; I don’t think I have ever used a packaged cake mix in my life because I LOVE the process of baking, it’s incredibly precise, like a science experiment, and the process of weighing everything out is really soothing. Try it, honestly you might find it’s exactly what your ordered mind needs.